Thanksgiving is just around the corner! Here’s a bouquet of flowers reminding us of the beauty and fullness of gratitude. The painting started with an under-painting of reds, then I blocked in the flowers with a paintbrush. 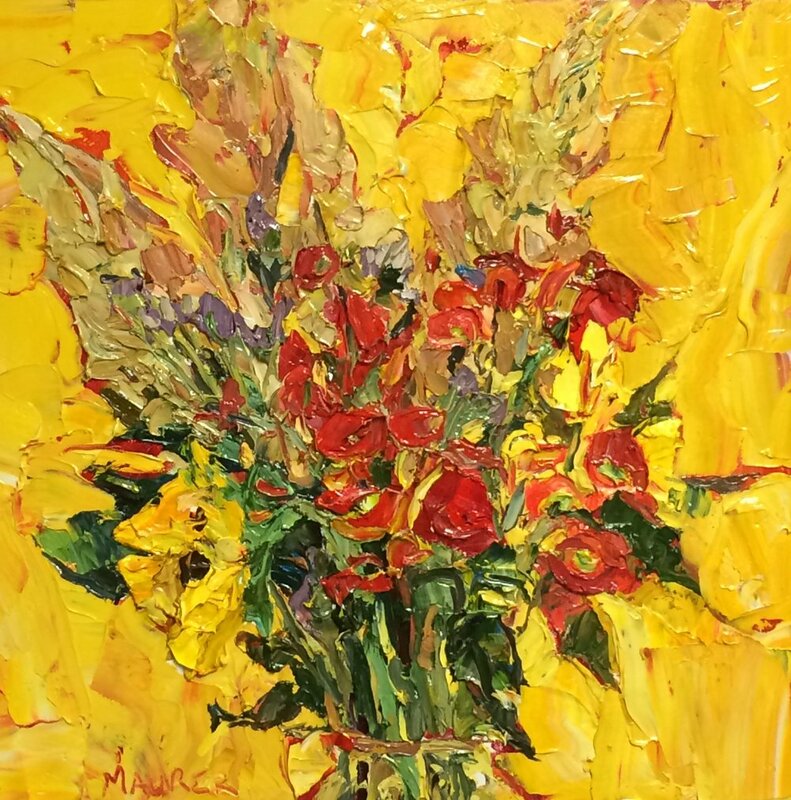 Next I piled on petals and stems with a palette knife, creating texture and playful movement between the blossoms and the warm background — now repainted in yellow. One of my favorite parts of this painting is the sunflower getting lost in the background and then finding its way back in the bouquet. I love this idea of God’s creation being complete with all it needs. I hope this bouquet of flowers serves as a reminder for all the good and blessings in our lives!